Betfair Poker completed the move to the iPoker Network today. 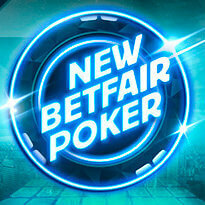 Poker players now have the option to play at the new Betfair Poker on the iPoker Network or they can still opt to play on the OnGame Network until July 2013 when all players are expected to migrate. There were rumours last year that Betfair was going to transition to iPoker and it turned out to be true. There is much more liquidity on the iPoker Network (2950 / 7 Day Avg) than on the OnGame Network (940 / 7 Day Avg) plus a better variety of poker games. The new poker room at Betfair will be on the 1st tier of the iPoker Network with other recreational poker sites including Titan Poker, Bet365 Poker, Everest Poker and several other poker sites. This alone makes the move worthwhile for Betfair Poker. You may be wondering why you should join Betfair Poker over one of the other iPoker Network skins. Betfair Poker has always had excellent promotions that are popular with poker players and they also run Betfair Poker Live events across Europe. To celebrate the launch of Betfair Poker on the iPoker Network they’re offering players several special promotions. A couple of the promos are only open to poker players that already had a Classic Betfair Poker account before January 9th 2013. If you had a Classic Betfair Poker account you can sign-up for a New Betfair Poker nickname. When you transfer funds to the new poker room you’ll receive a $2K bonus. The bonus is cleared in small chunks as you earn VPP’s by playing real money poker. Poker players will earn 20 VPP’s for each $1 of rake that they pay into a pot or each $1 of tournament fees. You’ll have 90 days to earn as much of the $2000 bonus as possible before it expires, so make sure you try to grind the huge bonus as fast as you can. Classic Betfair Poker players will also receive “Big Money MTT Tokens” once they download the New Betfair Poker. The tokens can be used to enter Big Money MTT’s with added prize pools. These special events will only run from January 22nd – 30th 2013. Each day there will be one $2500 freeroll tournament and multiple MTT’s with added money by Betfair Poker. On the last day of the promotion (Jan 30th) there will be a massive $10K freeroll and it’s only open to Classic Betfair Poker players. The Area 51 promotion is open to any poker player that joins the New Betfair Poker regardless of whether or not you played on the classic version of Betfair Poker. From today until March 17th 2013 you need to earn 300 Player Points to be eligible for Area 51. Every player that earns 300+ PP before the deadline above will receive a token to play in the Area 51 tournament. The tournament will run on March 26th 2013 (8PM UK Time) and the players that finish in the top 51 places will win a brand new iPhone 5.